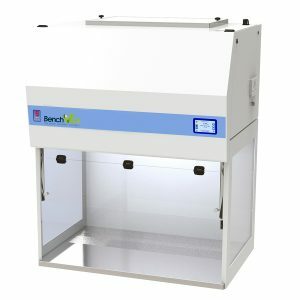 The BenchVent BV660H-D is our flagship hood mounted extract-to-atmosphere cabinet. 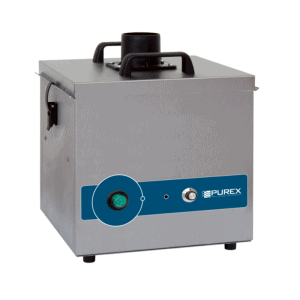 It’s been designed to capture, contain, filter and expel harmful contaminants within electronic design & rework, dental/medical labs, pharmaceutical labs and classroom environments. 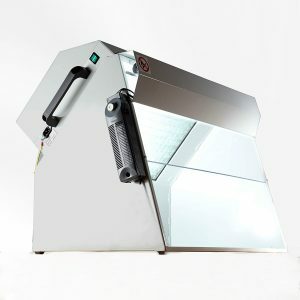 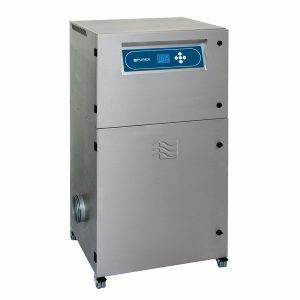 What’s included with the BV660H-D Extraction Cabinet? 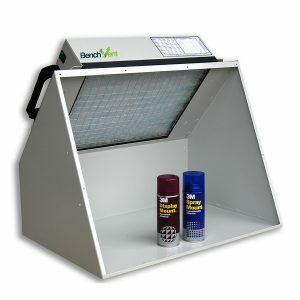 What can the BV660H-D hood mounted extract-to-atmosphere cabinet be used for? 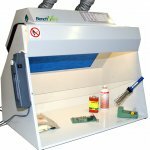 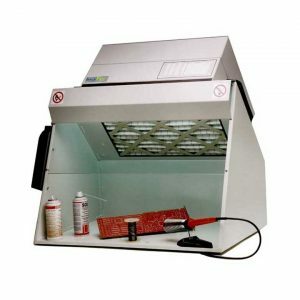 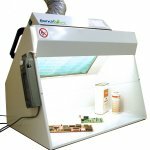 The BV660H-D is ideal for use with spray adhesives, conformal coatings and paints, monomers, hazardous powders and particulates, resins, sealants, solders, light grinding particles, organic solvents and cleaners etc. 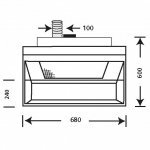 All handling and/or use of potentially harmful substances is carried out within the hood enclosure in front of the intake filter area. 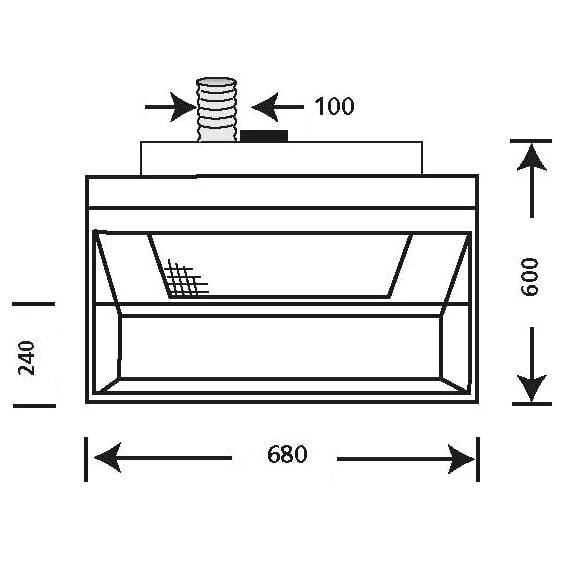 For artwork applications, standard A2 drawing board can be placed within the hood enclosure. 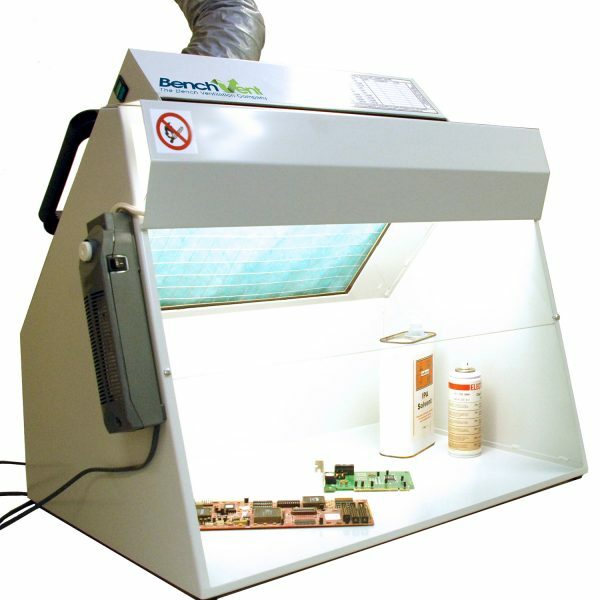 The board fits at an angle for efficient over-spray capture. 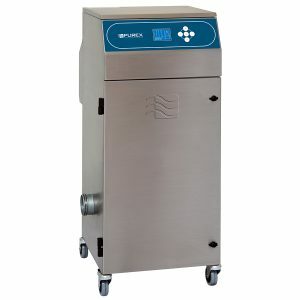 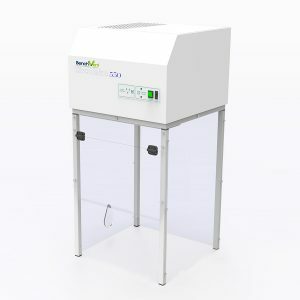 These fume cabinets are designed for immediate operator protection whereby ‘large’ particulates (> 5 microns) are filtered out and ‘fine’ particulates (<5 microns) together with odours, gases, vapours and fumes within the hood enclosure are exhausted to atmosphere via the flexi-duct(s). 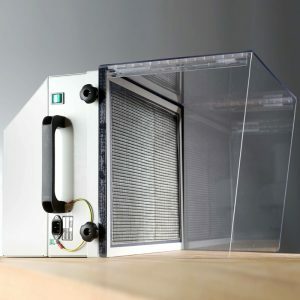 The Flexi-duct can be fixed to a standard domestic vent or simply placed through a partially open window to facilitate portability and/or convenience. 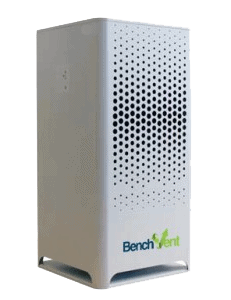 All BenchVent filtration and extraction systems carry a lifetime guarantee, are quiet in operation and can be assembled in seconds. 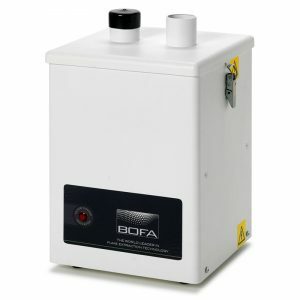 Place onto a desk, bench or trolley and then simply plug in and switch on. 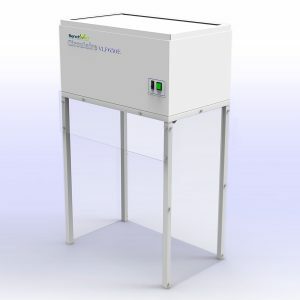 Steel construction finished in grey – fan/filter unit mounted onto hood enclosure complete with clear polycarbonate panel and hood lighting – particulate filter – centrifugal blower, external rotor motor type, brushless, UL, VDE and CSA approved – sealed electrical wiring and switch, downstream of filter. 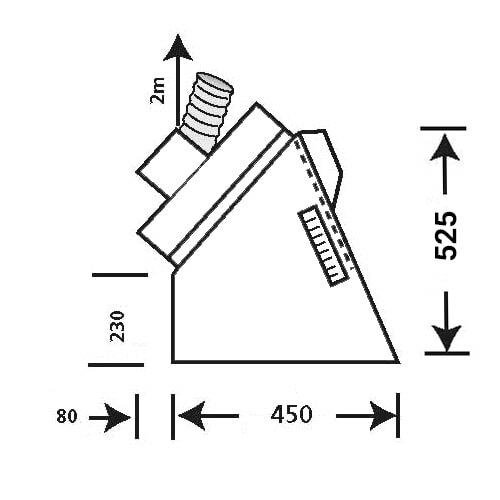 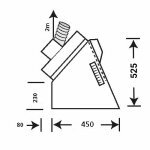 Flexi-duct 2 metres x 100mm dia.